Mad Hatter's Reading Log Vol 2. The cool thing about the world of The Dragon’s Path is that the titular dragons are part of the ancient past of the current civilization — without giving too much away, I’d say it’s kind of like imagining that the Roman Emperors had been dragons, and so much history has passed that all that is left is artifacts (like, say, a sword), myths, and folklore that some people believe and others doubt. And of course now, there is an ominous threat of history perhaps not being quite as dead and buried as was hoped. Summer is the season of war in the Free Cities. Marcus wants to get out before the fighting starts. His hero days are behind him and simple caravan duty is better than getting pressed into service by the local gentry. Even a small war can get you killed. But a captain needs men to lead — and his have been summarily arrested and recruited for their swords. Cithrin has a job to do — move the wealth of a nation across a war zone. An orphan raised by the bank, she is their last hope of keeping the bank’s wealth out of the hands of the invaders. But she’s just a girl and knows little of caravans, war, and danger. She knows money and she knows secrets, but will that be enough to save her in the coming months? Geder, the only son of a noble house is more interested in philosophy than swordplay. He is a poor excuse for a soldier and little more than a pawn in these games of war. But not even he knows what he will become of the fires of battle. Hero or villain? Small men have achieved greater things and Geder is no small man. Falling pebbles can start a landslide. What should have been a small summer spat between gentlemen is spiraling out of control. 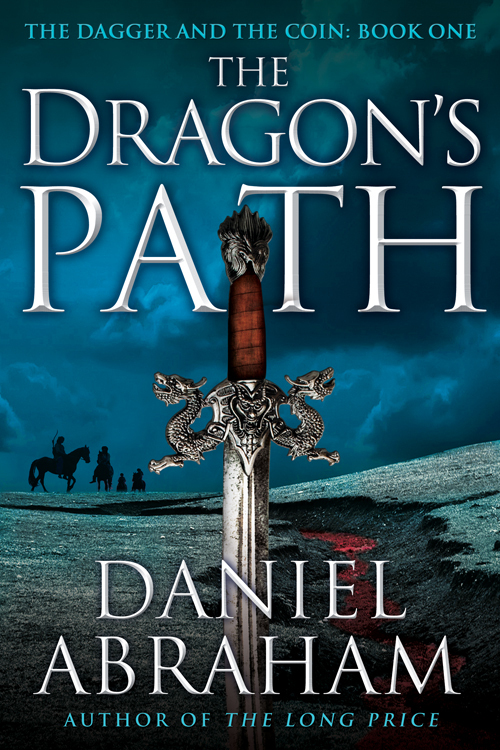 Dark forces are at work, fanning the flames that will sweep the entire region onto The Dragon’s Path — the path of war.